Applicants are now able to create profiles in the new system. Potential candidates will have the ability to self-schedule. Candidates are able to easily track the status of their applications. The old job application system will be retired in September 2015. From May to September, there will be two job application systems for candidates to use depending on the job posting. Candidates will still be able to create and access their profiles in the old system until September 2015. 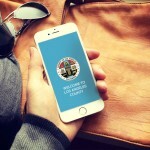 Candidates are encouraged to create profiles using the new system starting April 17th, however, if candidates have applied to other local agencies, they may already have an existing account on governmentjobs.com. Save demographic, education and work experience information. Apply to multiple positions using the saved profile. ogin and view the status of submitted applications. To receive job posting notifications from the new system, candidates should also complete new job interest cards in the new system. Please access the link below for answers to frequently asked questions. For technical issues, please access the link below to request assistance.